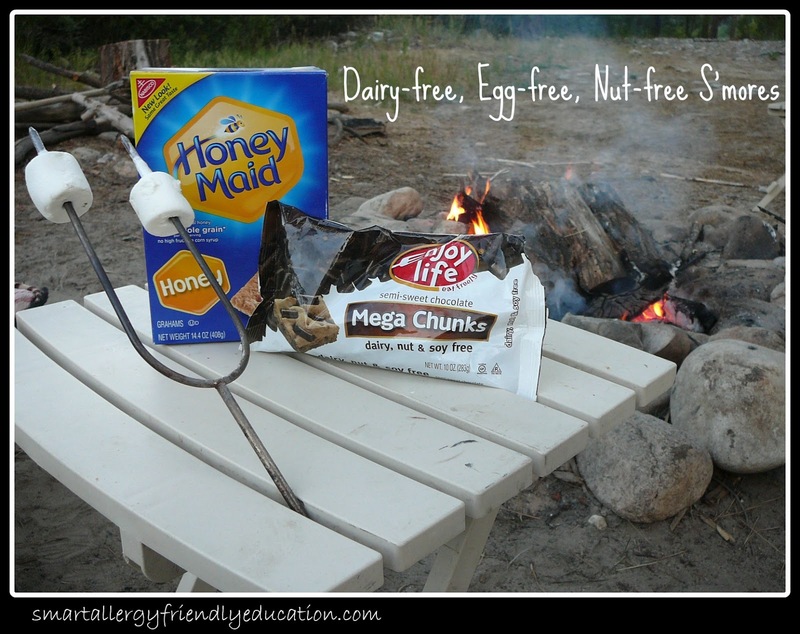 Smart Allergy Friendly Education: Enjoy Life Mega Chunks Made Our Camping Day! S'mores the dairy-free way! Enjoy Life Mega Chunks Made Our Camping Day! S'mores the dairy-free way! Just got back from a wonderful weekend getaway in the mountains of Idaho. Nothing like the smell of a campfire to relax me and my family. And this time we had the BEST S'mores EVER. I've used dairy-free chocolate chips in the past but I just found a new product which made the S'mores even tastier. The best part is that they are from a manufacturer I know is guaranteed to be dairy-free, egg-free and totally nut-free. Enjoy Life semi-sweet chocolate Mega Chunks, manufactured by Enjoy Life Natural Brands, LLC, Schiller Park, IL. Ingredients include: EVAPORATED CANE JUICE, NATURAL CANE JUICE, NATURAL CHOCOLATE LIQUOR (NON-ALCOHOLIC), NON-DAIRY COCOA BUTTER. 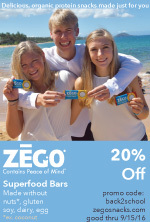 For more information, contact: http://www.enjoylifefoods.com/ or call 847-260-0300. Can't find them locally? Order them on-line today! Enjoy Life Mega Chunk - Order today! 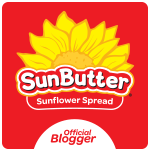 Their website is filled with an incredible amount of information one normally finds about products, recipes and distributors. In addition, you can also find some unusual links such as investor and broker info and one for healthcare practitioners. If you have never purchased anything from Enjoy Life before, you'll be thrilled to know that all of their products are FREE of the top 8 allergens, which include: wheat, dairy, peanuts, tree nuts, egg, soy, fish and shellfish! This statement is printed on ALL of their packaging. Now, back to those S'mores! Poked 3 Mega Chunks into our allergy~friendly marshmellow before slow-roasting over a stupendous campfire. Tried not to catch them on fire. Pulled them off the roasting sticks with our favorite Honey Maid graham crackers. DELICIOUS!! Talk about having happy campers!